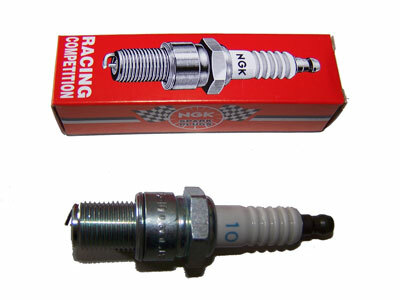 Fastech-Racing carries a full line of kart racing spark plugs, including NGK. Please call for any unlisted items. Helps secure the plug cap onto the plug. Fits any plug with 21mm hex, i.e. BR10EG/EIX, BR9EG/EIX, IW34-34, AR51, 7376-10, etc. Three rubber straps to fit various plug/cap combinations. New 125 Micro MAX and 125 Mini MAX spec plugs for 2017. New 125 Junior MAX,125 MAX and 125 MAX DD2 spec plugs for 2017. 5k ohm resister plug. 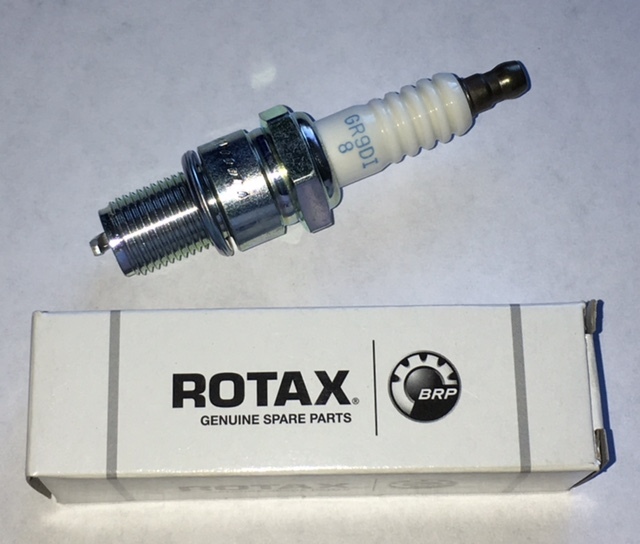 SKUSA spec X30 spark plug as of 6/8/2018. NON-resistor plug. 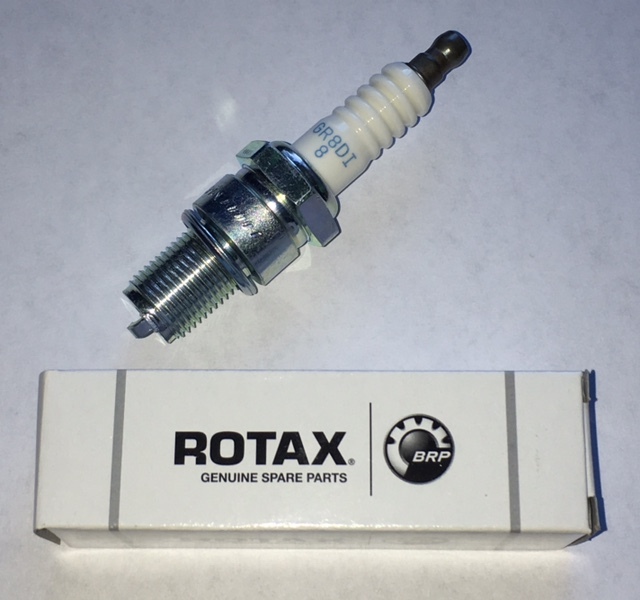 SKUSA spec X30 spark plug as of 6/8/2018. NON-Resistor, fine wire (1.3mm) Nickel center electrode. 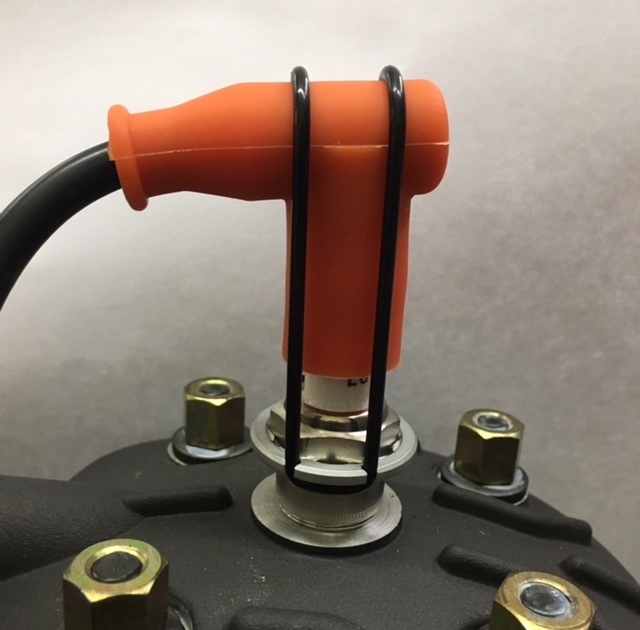 Iridium IX plug, 14mm, 1/2" reach, 13/16" hex, gasket seat, resistor, fine wire (0.6mm) iridium center electrode, tapered cut ground electrode. Used on the Comer K80 engine. 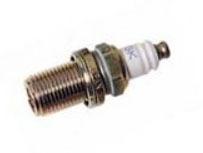 Racing Plug, 14mm Thread, 9.5mm (3/8") Reach, 13/16" (20.6mm) Hex Size, Gasket Seat, Non-Resistor, Projected Tip, Solid Terminal, V-Power (V-Grooved Center Electrode), .032" (0.8mm) Gap, Heat Range 9. Used on Comer C50 & C51 engines. 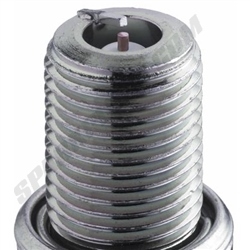 Racing Plug, 14mm Thread, 9.5mm (3/8") Reach, 13/16" (20.6mm) Hex Size, Gasket Seat, Non-Resistor, Projected Tip, Solid Terminal, V-Power (V-Grooved Center Electrode), .032" (0.8mm) Gap, Heat Range 8. Used on Comer C50 & C51 engines. 14mm, 3/8" reach, 3/4" hex, gasket seat, non-resistor, JIS height, projected tip, compact plug. Used on Comer C50 & C51 engines.